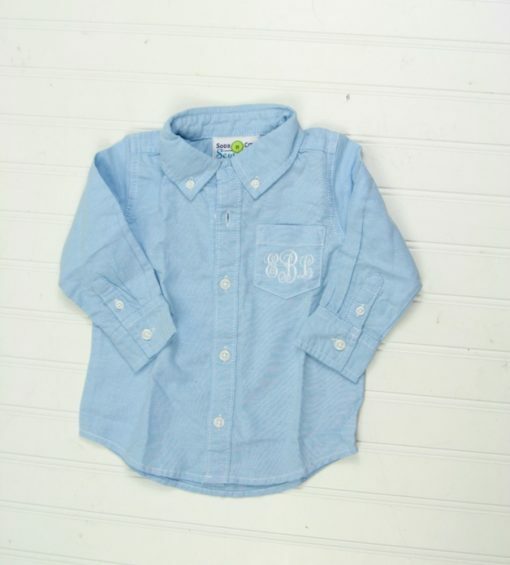 Button up chambray (light blue) denim shirt for boys or girls. 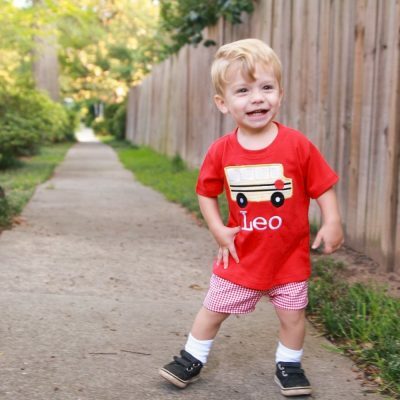 Long sleeved and 100% cotton. 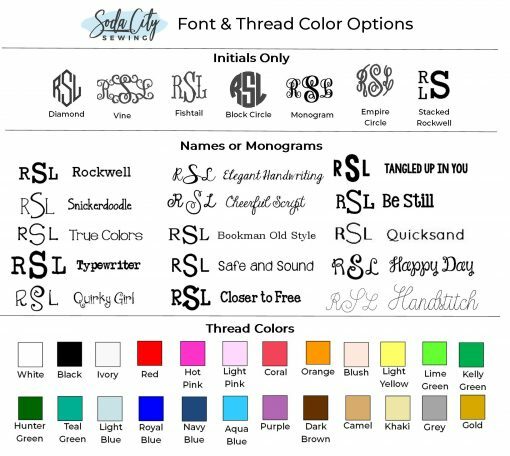 Choose to monogram the pocket (note it sews pocket shut) or leave plain. Machine washable. Shipping Rate A. Our monogrammed chambray button up is the perfect baby and toddler dress shirt. 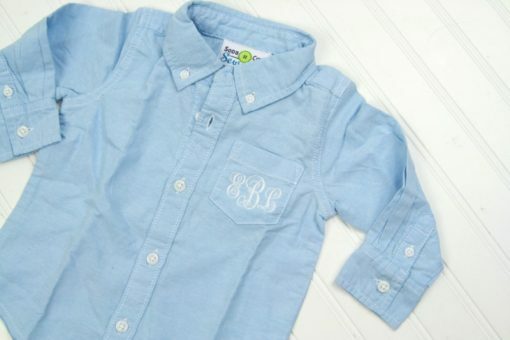 You can personalize the shirt by adding a monogram to the pocket. 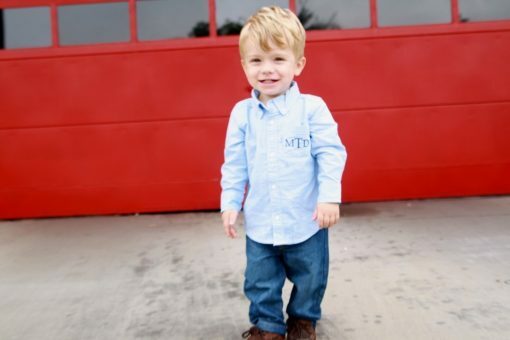 These make great shirts for special occasions like Easter, weddings, Christmas, School Pictures, or Thanksgiving but are versatile enough to wear every day! 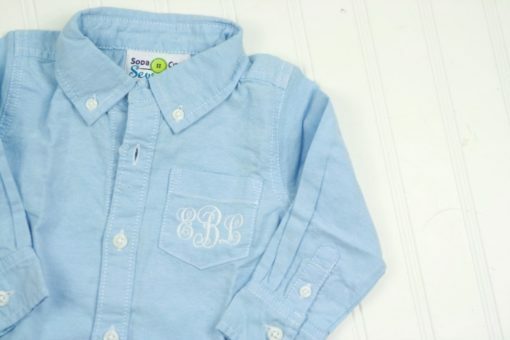 This one is a light blue color that is like a chambray denim. 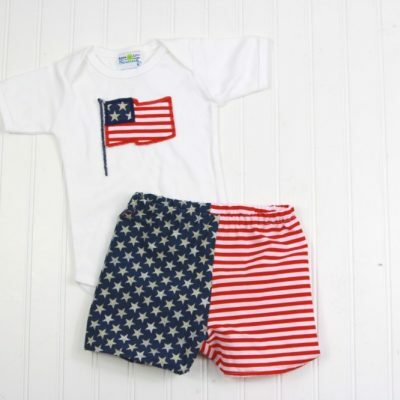 The material is so flexible that it’s perfect for the beach or winter wear! These oxford shirts look cute alone, or under overalls. 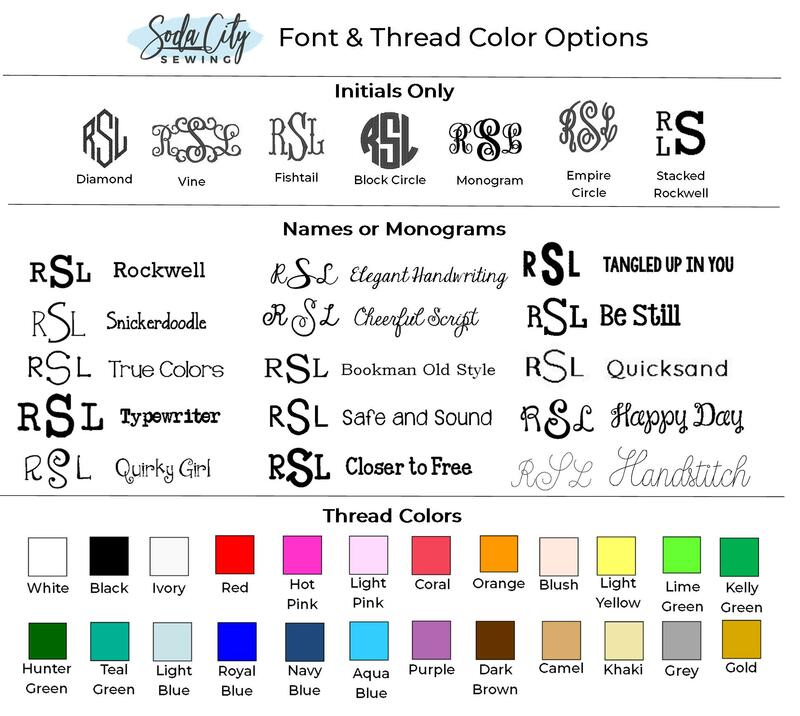 Personalize your button down shirt for boys or girls by selecting your own font and thread colors! Thanks for visiting Soda City Sewing, where we make monogrammed children’s clothes just for you!